The origin of New Zealand birds is a story whose continuing evolution in the last 30 years especially has upset many apple carts – from the idea that the moa has evolved from a small South American bird which flew to ancient New Zealand, to the seeming preposterous suggestion that the kiwi is more closely related to the Madagascan elephant bird than the moa. What, then, of the kakapo, kea, tui, rifleman, stitchbird and the rest of our iconic New Zealand birds? Garry Sheeran has dug up what professionals are re-discovering about the origin of New Zealand birds with the help of modern scientific tools. A particular theme is the influence of Australian avifauna on New Zealand’s bird life. In Part 1 he tells of his layman’s latter-day interest in birds with enthusiasm, originality and charm. 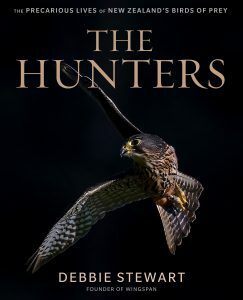 He also traces how the origin stories of birds are closely connected to the origins of the islands and continents on which they are found. 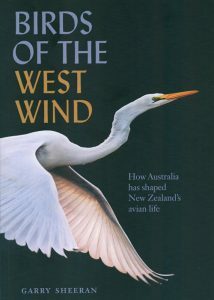 Part 2 contains specific origin stories of more than 80 land and shore birds, and traces their possible connection to Australian birds. 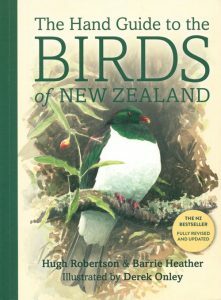 The book is aimed as much at readers with little knowledge of New Zealand’s bird life as it is at enthusiastic and knowledgeable birders. Artist/Author: Robertson, Hugh, Barrie Heather and Derek Onley. A bestseller revised – this third edition of this essential reference for identifying New Zealand birds features its biggest update ever. The Hand Guide to the Birds of New Zealand is a trusted, invaluable reference for lovers of New Zealand birds. Comprehensive and easy to use, this new edition features 374 species, including 35 new additions in the book’s biggest revision since first publication 85 stunning colour paintings of New Zealand birds, including rare and recently extinct species an introduction to key bird-watching sites distribution maps and an in-depth guide to field identification protective plastic cover for use in the field. The only hand guide to New Zealand birds officially endorsed by the Ornithological Society of New Zealand, this is the ideal field companion for identifying our extraordinary and diverse birdlife. 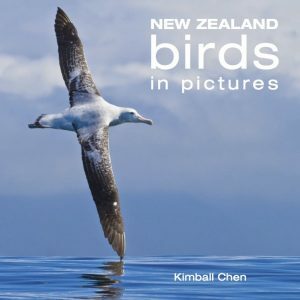 A beautiful photographic book of New Zealand’s native birds that will appeal to the casual bird-watcher as well as the ornithologist. 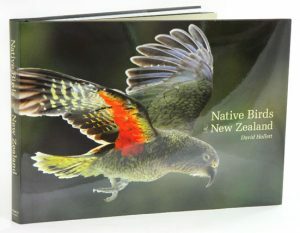 The photographs in this book have been taken by David Hallett, one of New Zealand’s leading wildlife photographers, who captures the beauty of New Zealand’s native birds in their natural environment, from the subtropical north to the Sub-Antarctic Islands, and from the oceans to the alpine meadows of the Southern Alps. The text is kept short and avoids the in-depth academic material found in some of the very good reference books on the market. 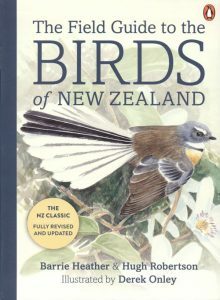 It does include all the interesting facts that set New Zealand’s native birds apart, presented in a short, concise format that makes the book ideal for browsing. Buller’s birds of New Zealand: the complete work of JG Keulemans. 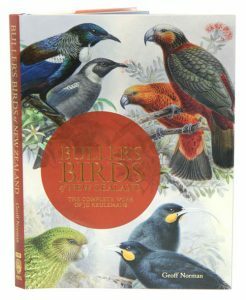 In 2012, the comprehensive, landmark publication Buller’s Birds of New Zealand: The Complete Work of JG Keulemans presented all-new reproductions of JG Keulemans’ definitive 19th century images of New Zealand’s native birds, from both editions and the subsequent supplement of A History of the Birds of New Zealand by Walter Buller. By popular demand, this accessible, affordable new edition presents the full set of the original, cherished masterpieces for new readers and existing fans alike. Buller’s Birds: Classic Paintings of New Zealand Birds is reproduced in rich, luminous colour, along with the fascinating story of this internationally significant artist and his work. Like the complete edition, each painting is accompanied by up-to-date taxonomic information in English and te reo Maori and contains a delightful Foreword by Stephen Fry. A stunning new book of New Zealand bird illustrations. Using the structure of a naturalist’s journal, Niels Meyer-Westfeld has created a very personal and sensitive tribute to this country’s remarkable birdlife. The heart of the book is his beautifully detailed illustrations of birds, covering all of our best-loved wetland, sea and forest species. The main illustrations are supported by beautifully rendered sketches and working drawings. Accompanying the illustrations is text from the author, which provides information about the species, and anecdotes about the process of creating his artwork. His text is also an impassioned call for a greater awareness of the wider threats that so much of our endangered birdlife faces in New Zealand. 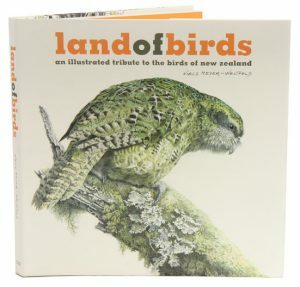 Land of Birds will appeal to anyone with a passion for New Zealand’s flora and fauna, particularly birds, as well as those with an interest in illustration and art. Artist/Author: Scofield, Paul and Brent Stephenson. New Zealands birdlife developed extraordinary diversity as a consequence of evolving on isolated islands without mammalian predators. For many years, habitat destruction brought on by humans posed a distinct threat to the wide variety of birdlife, but thanks to recent conservation efforts, many of the countrys species of birds are now protected in parks and island sanctuaries. 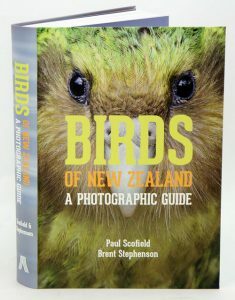 Illustrated with nearly a thousand new photographs from one of New Zealands top nature photographers and drawing on the latest information from birders and biologists, Birds of New Zealand offers a definitive introduction to the identification and behavior of the countrys extraordinary avian life. 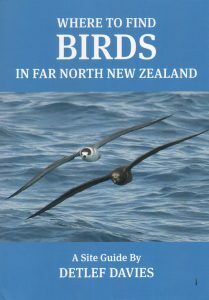 The book includes expert and up-to-date information on the 365 bird species found in New Zealand, including species ranging from albatrosses and shearwaters to kiwi and kaka. It will be a valuable addition to the existing literature on birding. Artist/Author: Moon, Lynnette, Geoff Moon, John Kendrick, and Karen Baird. New Zealand is known for its birds, and the melodic quality of their song. Here, in one book and CD package is a selection of 60 of the most popular, important or interesting birds. In the book, each bird entry includes information about habitat, distribution, appearance and behaviour of the bird, along with a description of its calls. Each entry is illustrated with photographs from the renowned collection of Geoff Moon, making identification easy. The CD, contained in a plastic envelope on the book’s inside back cover, contains 60 tracks, one per bird, and each track includes up to three different calls, such as alarm, territory and courtship songs. 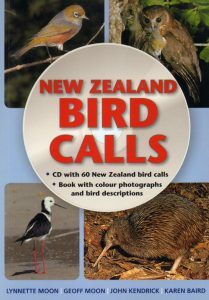 “New Zealand Bird Calls” is an essential guide for any bird enthusiast to enjoy in the field or at home, and it will open up new ways to get to know birds by their calls. Photographic guide to birds of New Zealand. 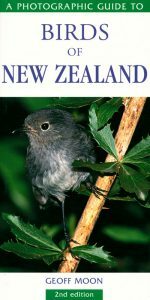 In this fully revised edition with attractive new cover, species accounts have been updated according to the 4th edition of the Ornithological Society’s official “Checklist of the Birds of New Zealand”. The many changes include updates to classification, distribution and population status. Maori names have now also been added for all species, where applicable. Although not intended to take the place of a more in-depth field guide, the book features photographs of the most commonly seen birds along with detailed information on distribution, habitat, behaviour and breeding. Each bird is illustrated with at least one colour photograph to aid identification, and in many cases photographs also show the birds in their habitat – nesting, feeding and socialising. Where to find birds in far North New Zealand: a site guide. Detlef Davies is Regional Representative for the Far North branch of the Ornithological Society of New Zealnad and has travelled widely in the country but particularly in his local area, the Far North. This book is a product of this exploration.